Yes, old-time crooner Schmendryck K. Archer lends his helium-tinged vocals to these seven covers of Nine Inch Nails songs. 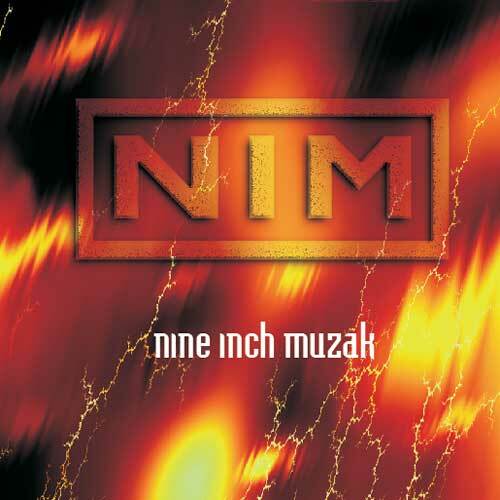 Featuring goopy Casio synthesizer music beds and inappropriate samples, these tracks transform NIN’s mopey angst-filled anthems into silly and sometimes poppy tunes. The scourge of pouty adolescents is back! Yes, old-time crooner Schmendryck K. Archer lends his helium-tinged vocals to these seven covers of Nine Inch Nails songs. Featuring goopy Casio synthesizer music beds and inappropriate samples, these tracks transform NIN’s mopey angst-filled anthems into silly and sometimes poppy tunes. What was Archer thinking? Distracted by life’s distractions (family, job, distractions, etc.) Archer left behind his career as a songman, a move he regretted for nearly 30 years. Now freed of his commitments, this daffy old duffer has jumped back into the music scene with a disc full of new, relevant tunes. And what Top-40 band is better for the kids than NIN? Archer is seemingly not in control of how his disc has turned out, or rather he seems completely unaware of the work he is covering. The result is hilarious and unnerving. This piece is unlicensed and reproduced entirely without any permissions whatsoever. Comes with a secret bonus mystery track: “Cigarette Cowboys,” an 8 minute deconstruction of a Marlboro commercial.